How do you communicate with your prospects and customers? If your answer is “not very well,” then it may be time to consider how you can improve interactions. 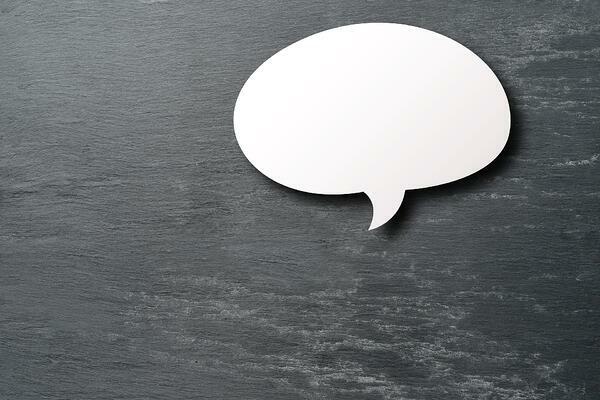 To help companies of all sizes with communication efforts, HubSpot launched Conversations, a new tool designed to help you interact with one-to-one messages that are smart, simple, personalized, well-organized and a valuable contributor to the overall customer experience. Technology has lead the way for many developments, including the way we communicate. People of all ages are increasingly choosing to interact with one-to-one messaging, with 56 percent of customers preferring to message a company than call its customer service line. But not all businesses have been updating communication methods. Sure, businesses are capable of interacting one-to-one through email, texts, Facebook Messages and other online platforms. Yet many still lack an overall strategy for effective communication, resulting in unorganized messages from disparate sources. Prospects or customers may start a conversation on the phone, continue with a text or email exchange, and then end up online using Facebook Messenger. Their interactions are fluid, portable, and constantly moving across various channels without any information being lost or forgotten. Now businesses can enjoy that same streamlined, seamless experience with HubSpot Conversations. HubSpot Conversations is an all-in-one solution for your one-to-one customer interaction needs, letting you manage, scale and maximize the efficiency of personal conversations with leads, customers and loyal fans across a variety of different channels. Instead of heading to Facebook, your email inbox, chat message transcripts and texts to try to track down past interactions with prospects and customers, all of your past conversations from multiple platforms will be stored in HubSpot. This allows you to keep a record of your prospects and customers past questions and needs to better be able to offer them future support. Whether you need to respond to a single one-to-one message or send out a large volume of responses across the board, Conversations allows you to do it quickly, easily and efficiently. Like other HubSpot tools, Conversations is scalable to take on heavy volume loads to suit a variety of business needs. HubSpot recently acquired the chatbot platform Motion A1, which lets teams scale one-to-one conversations using artificial intelligence. As a visual chatbot-building tool, Motion A1 lets companies create chatbots on their websites, on Facebook Messenger, via SMS or elsewhere without needing any technical skills. Once chatbots are in place, companies can automate HubSpot Conversations to respond to common inquiries, qualify leads, book appointments, diagnose issues, launch customer service interactions or just about anything else they can imagine. High-quality conversations automatically become the norm, responding to customer needs as quickly as they arise. Targeting capabilities let you select the areas on your website you want, or don’t want your Conversations chat widget to appear. Lead routing functions allow you to assign incoming leads to specific team members tasked to perform the follow-up and nurturing. If you’re already using or planning to use HubSpot CRM Free, then you’ll have access to HubSpot Conversations. The Conversations tool is built right into the CRM platform, which allows it to gather and store all past interactions right in the lead or customer’s profile. Accessing the profile gives you full context of all interactions, no matter where and when they may have taken place. You’re also treated to other information stored in the profile as well as marketing data insights pulled in from Conversations, allowing you to personalize your interactions even further. As if HubSpot Conversations doesn’t make interactions powerful enough on its own, you can add even more drive to your inbound marketing communications with additional HubSpot tools. The HubSpot Marketing Hub gives you no-cost marketing software, while the Sales hub offers free sales software. HubSpot Service Hub is the all-in-one customer solution from HubSpot, a paid feature that’s also accessible through the CRM Free platform. With the ability to store, scale, automate and manage interactions, HubSpot Conversations can enhance your communications as well as your relationships. Being able to quickly access past conversations can make future conversations proceed more smoothly. You’ll be much better able to personalize interactions, solve problems and satisfy prospects and customers, resulting in greater happiness and increased business. Customers want and expect a fulfilling customer experience when they interact with every company, and HubSpot Conversations is one of the most potent HubSpot tools that can help you deliver it.